GrabTaxi is a gift that keeps on giving, or so my cab drivers keep telling me. But this time, the gift is a brand new app, with a snazzy new look that will help give passengers a better user experience. 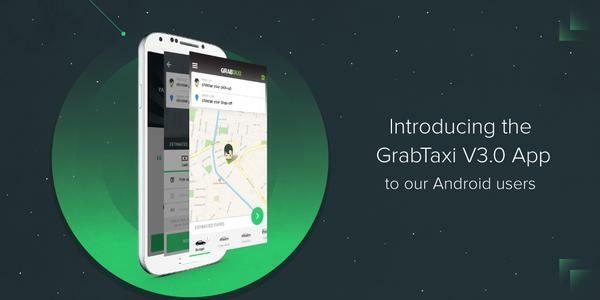 The new GrabTaxi 3.0 fully integrates GrabTaxi‘s new payment system GrabPay, which takes a leaf out of Uber’s cashless payments system by allowing you to connect your GrabTaxi account to a credit/debit card, and effortlessly pay for your ride without even touching your wallet. 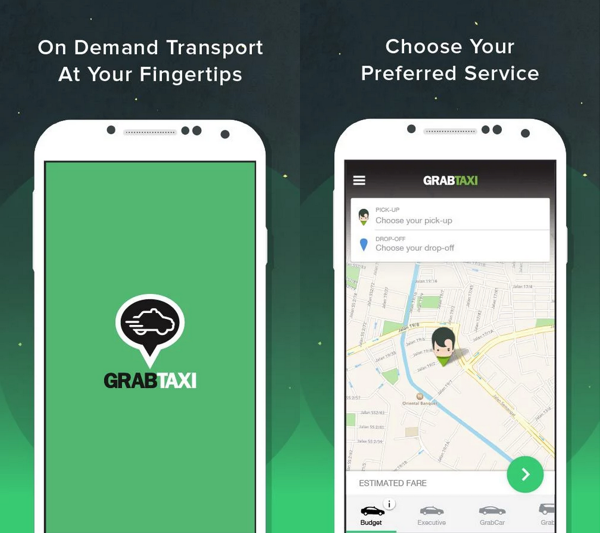 It also allows you to easily scroll through the various services that GrabTaxi offers, and lets you choose from a variety of cars/taxis. Ladies who get nervous about late night cab rides can now share their taxi trips on Facebook, Twitter, and SMS. 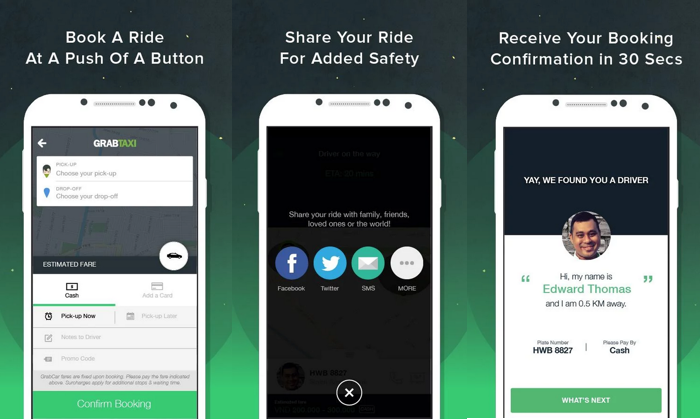 A new specialised inbox also allows GrabTaxi to send you the latest news and promos, so that you won’t have to rely on word-of-mouth to get the latest discount codes. The most impressive update of all is probably the new Favourites List. You can add frequent trips you take to a personal favourites list, and pick from that list instead of searching for locations. It’s about time! Sadly, this update is only for Android users; iPhone users will have to wait till September. GrabTaxi has been extremely active and innovative. After launching GrabCar just this year, they announced a multi-million dollar R&D Centre here in Singapore, with key hires from some of the most renowned global tech companies. They even experimented with durian delivery during the hectic durian season, much to Singaporeans’ delight. And now, they’ve given us their new payment system GrabPay. If you’re not keeping an eye on this company, you’re don’t know what you’re missing out on.